Home Blog + NewsREALtimeFOOD in Megijima, Japan! 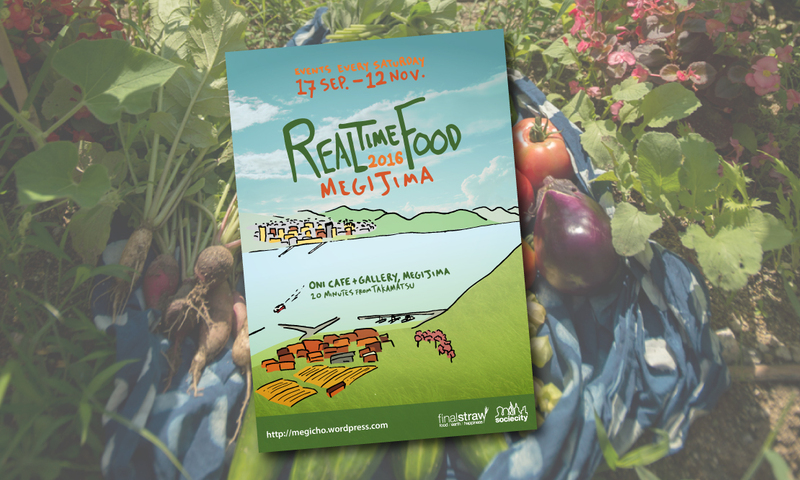 It is with a lot of work, and a good bit of luck, that we can now invite you to join us as we return to Megijima to launch REALtimeFOOD and The World’s Slowest Restaurant! Those of you who have been following our progress will notice that this is our second installment of the REALtimeFOOD project, which itself is a critically acclaimed tour of food, art, ecology, and culture that we piloted in Osaka last summer. Learning from our experiences in Osaka, we’ve both tightened and expanded the project this year to include international cast of artists and creatives, while at the same time working to weave local people and their knowledge into the fabric of our workshops and events. We believe this second ingredient is critical to the success of the project, and we’re happy to be working with a high level of integration between young and old, local and visitor. Join us this fall as we learn from and grow with each other during this 10-week series of events where participants learn to cultivate their creativity and ecological awareness, exploring art, nature, culture, and good food on the island of Megijima! The ongoing gallery installation at Oni Gallery in Megijima, Japan, featuring a cast of international artists and craftspersons. Participants will take part in thought-provoking and inspiring art and culinary workshops led by visiting artists and chefs, and yet they will interact equally with the islands locals, learning valuable life lessons from the rich cultural and ecological history of Megijima. You can be a part of this authentic arts and culture experience! Everyone is invited to join us for any of the number of events this fall as we connect with and taste the beautiful nature and culture of this island. 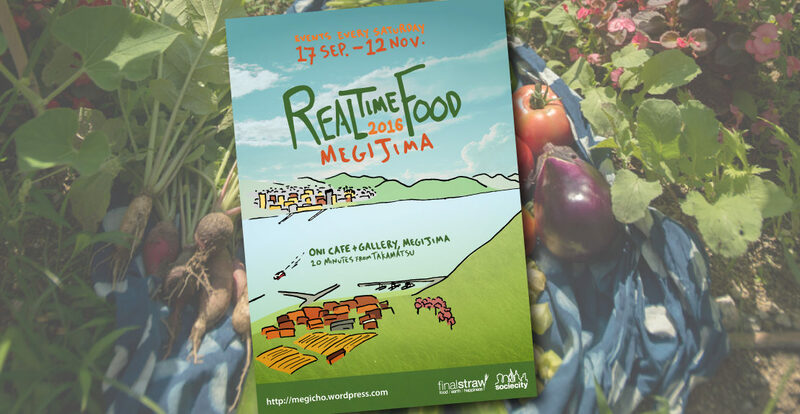 REALtimeFOOD: The World’s Slowest Restaurant takes place from 17 September – 12 November 2016 at Oni Cafe & Gallery in Megijima, Japan, with events held every Saturday and the Cafe & Gallery open regularly. This is a SocieCity project, sponsored in part by Final Straw, and Japan-based producer Kaori Tsuji. 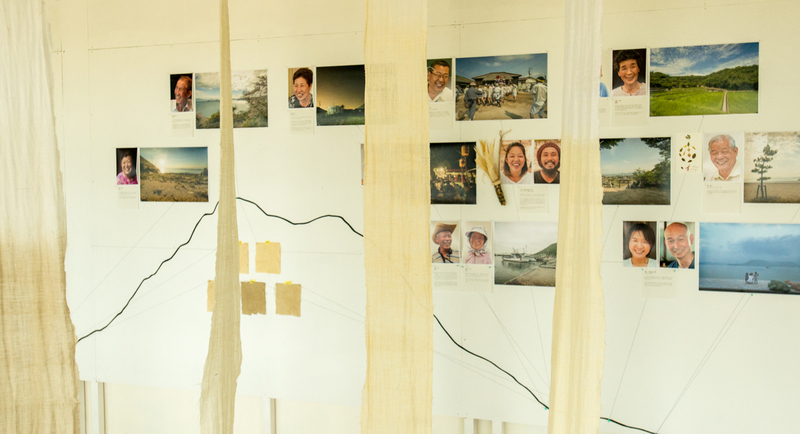 Founded in 2011, Final Straw fosters human relationships with nature, cultivating ecologically interconnected ways of thinking and being. Working across genres of documentary film, temporal installation, farming, culinary art, and social practice, they have had the pleasure to work with audiences in East Asia, North America, and Europe. In 2015 they released a well received feature-length documentary film titled Final Straw: Food, Earth, Happiness, completed an extensive 110-date screening tour, and saw the pioneering of their first REALtimeFOOD project in Osaka, Japan.